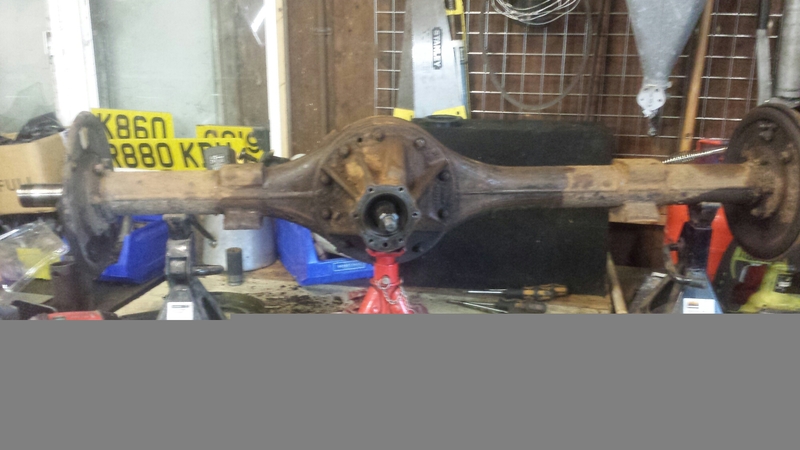 When I took my diff out… I found the cause of the stranfe knocking noise coming from the rear of the vehicle as I went round a corner. 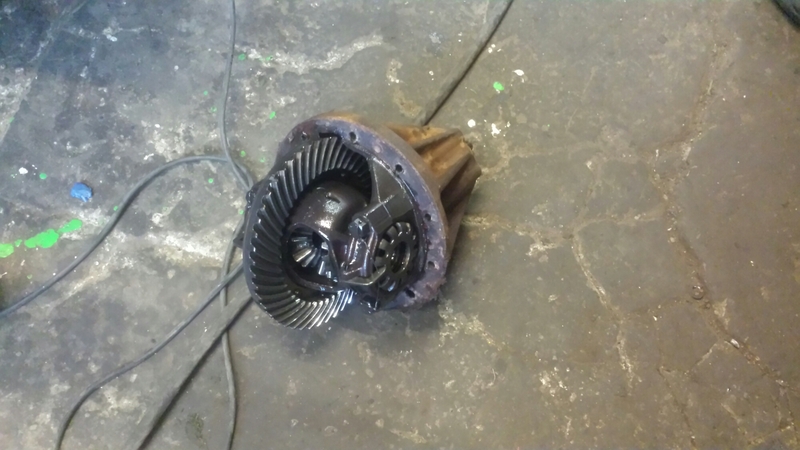 2 teeth had chipped off one of the planetry gears… rendering the diff scrap basically. 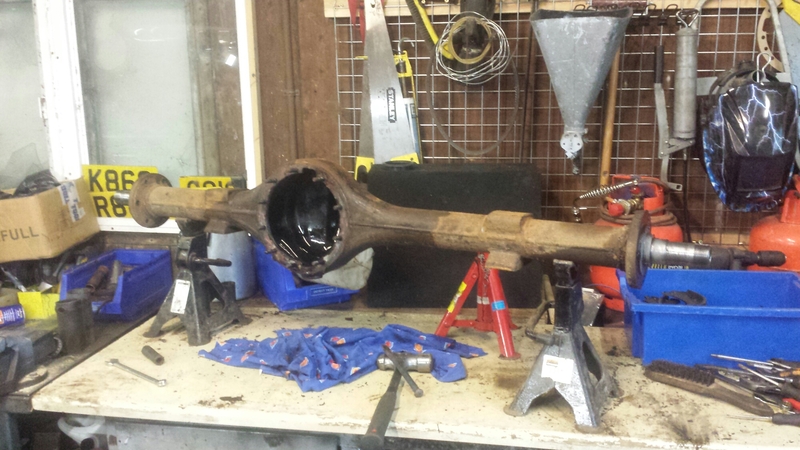 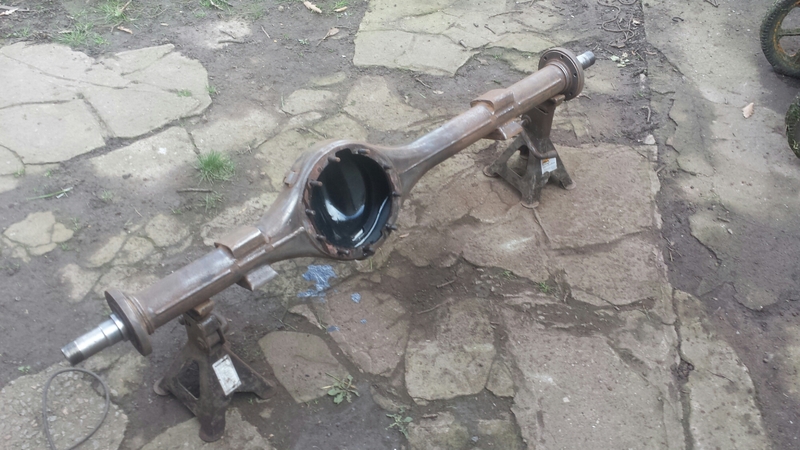 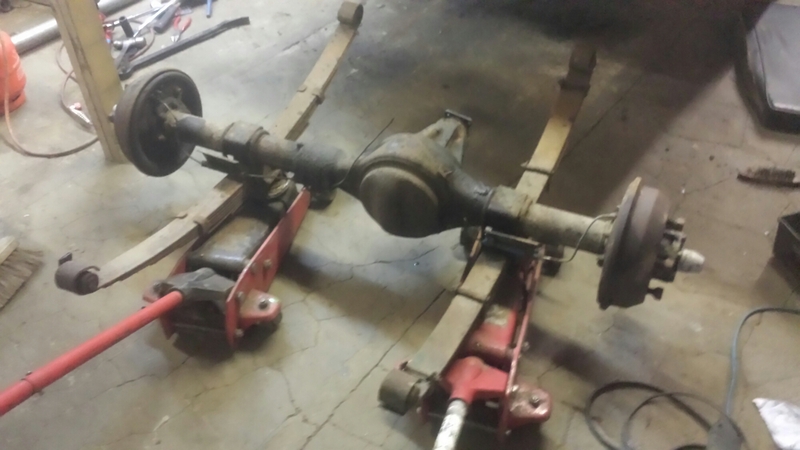 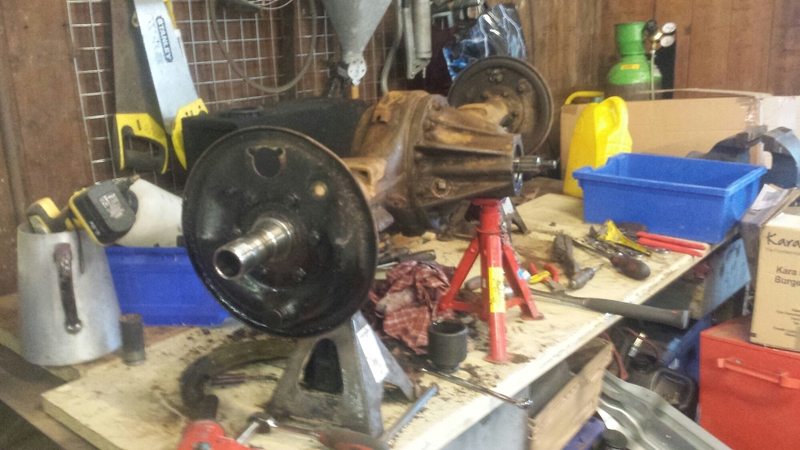 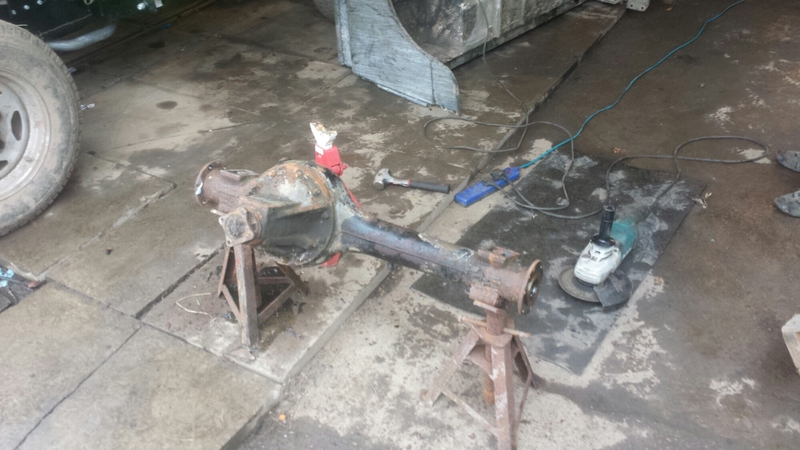 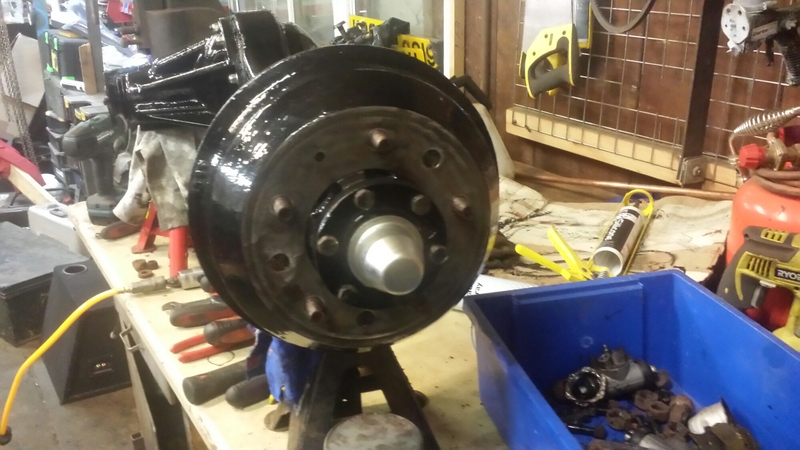 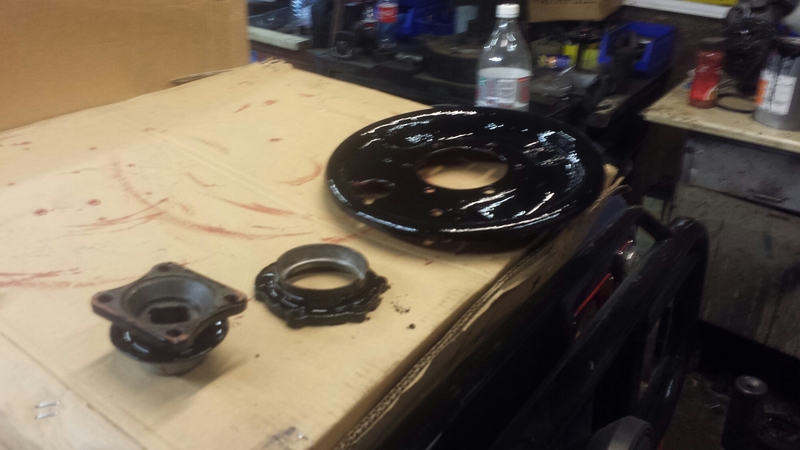 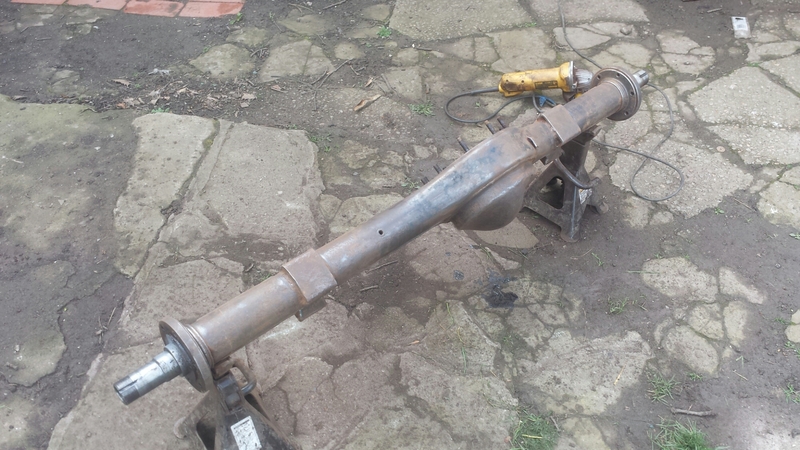 Thankfully we had a spare axle in storage… so the diff was removed from that axle as a donor. 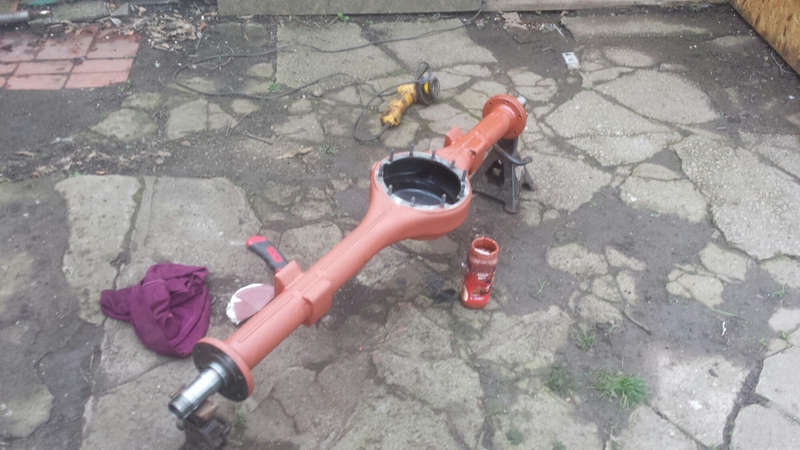 Next stage was to rub down the axle casing and all the components using a cup brush on the grinder. 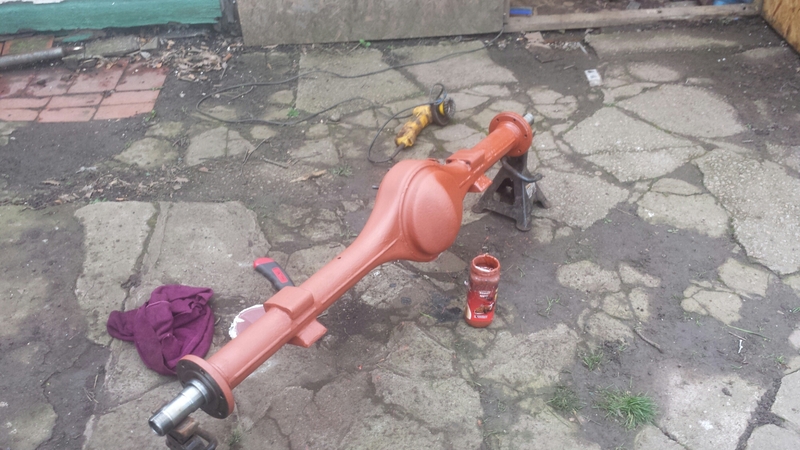 This was followed by a light wash down and a degrease… then a good coat of red oxide primer. 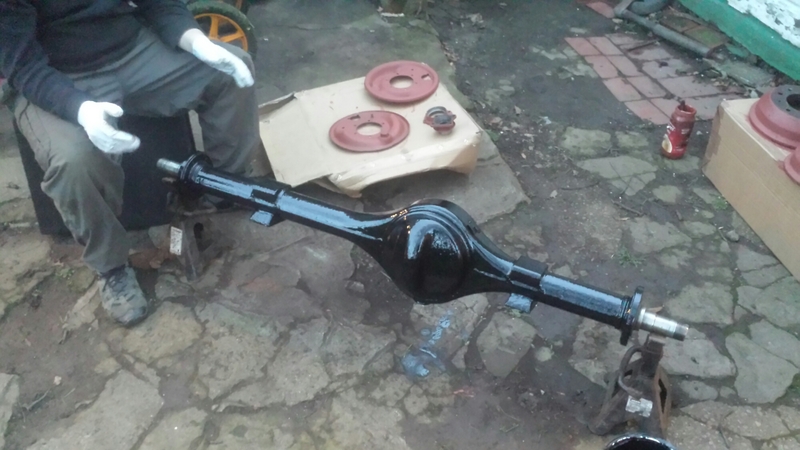 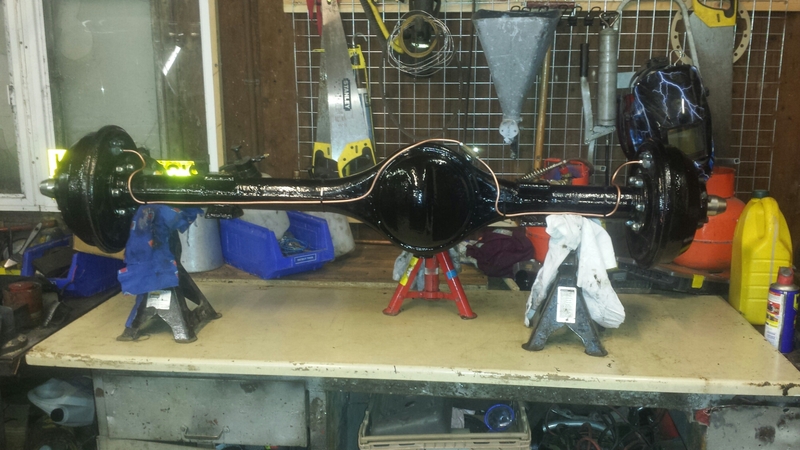 After allowing that to dry over night… I gave everything a coat of synthetic black top coat. 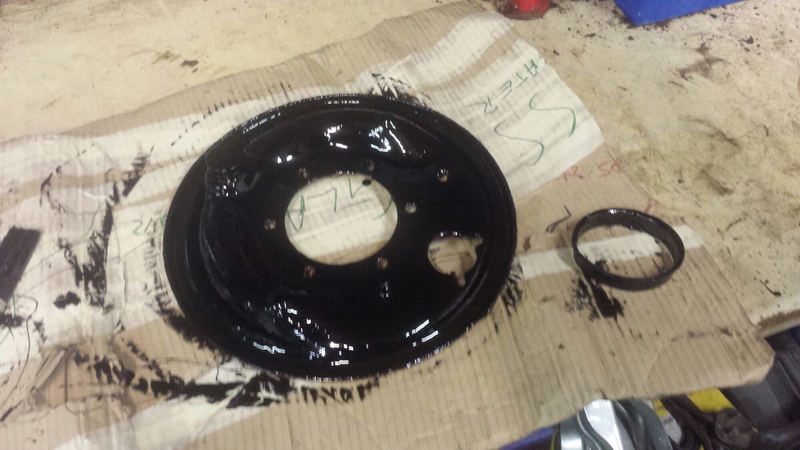 I replaced all the gaskets and oilseals as I went. 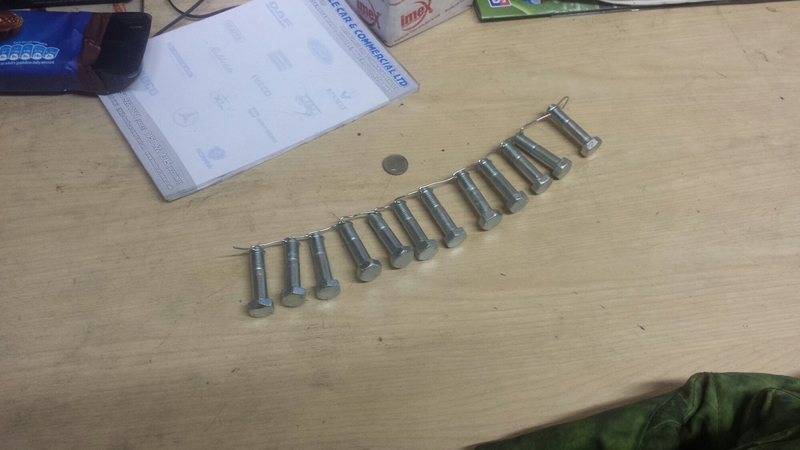 I also sourced new bolts. 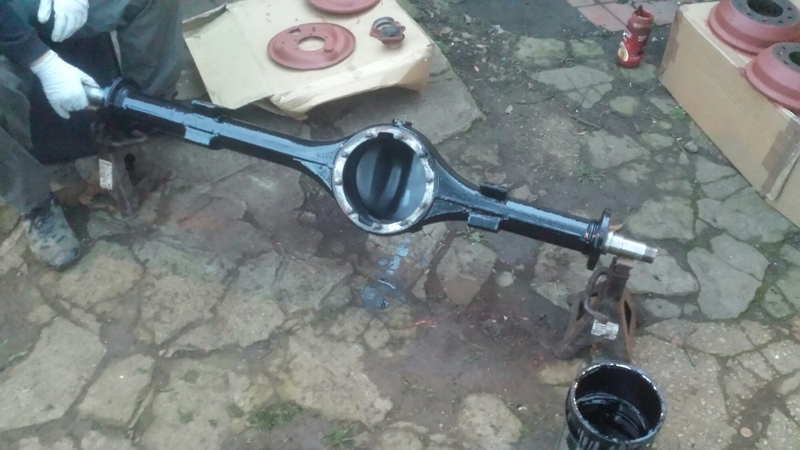 I wanted everything to be bright zinc plate finish… both for aesthetics and practicality. 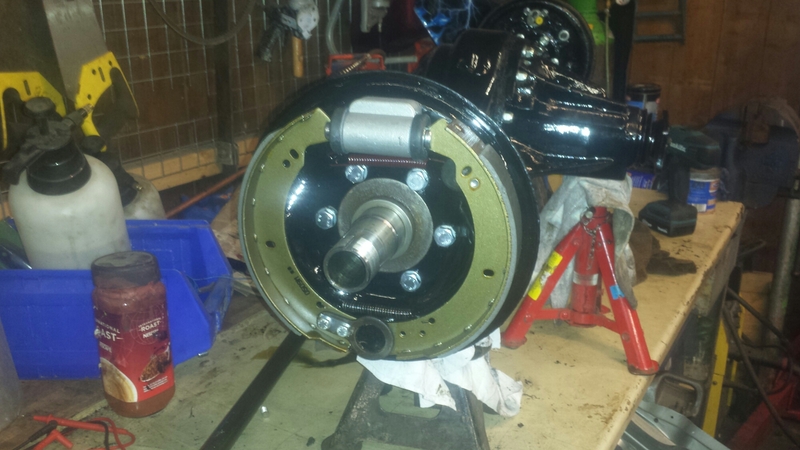 I fitted new wheel bearings, oil seals, hub nuts and lock washers whilst I was at it. 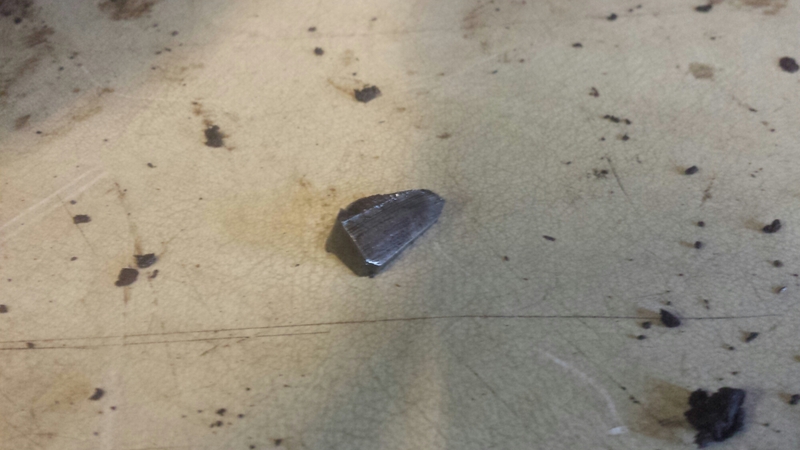 The cost of the 3/8 unf bolts for the halfshaft gave me a bit of a shock… so I had an ingenious idea… I cleaned up my original bolts and had the company next door to where I work bright zinc plate them for me… oh the joys of knowing an electroplater haha. 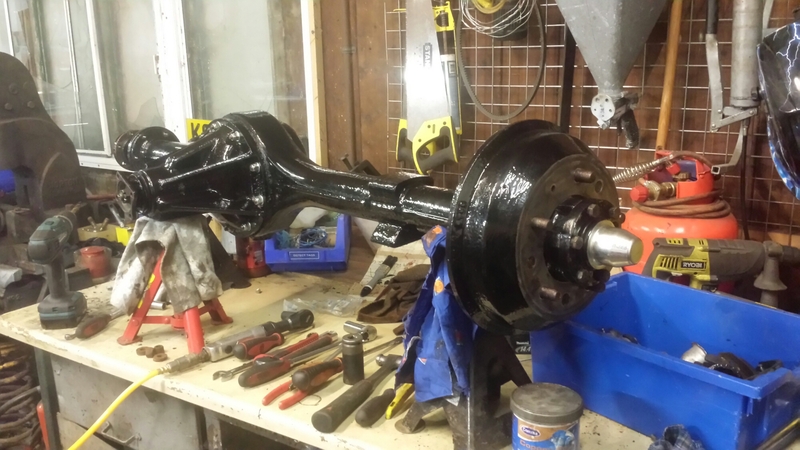 After the axle was fully reassembled I filled it with the correct amount of diff oil… and then decided that I may aswell make and fit the new brake pipes and clean up the t piece. 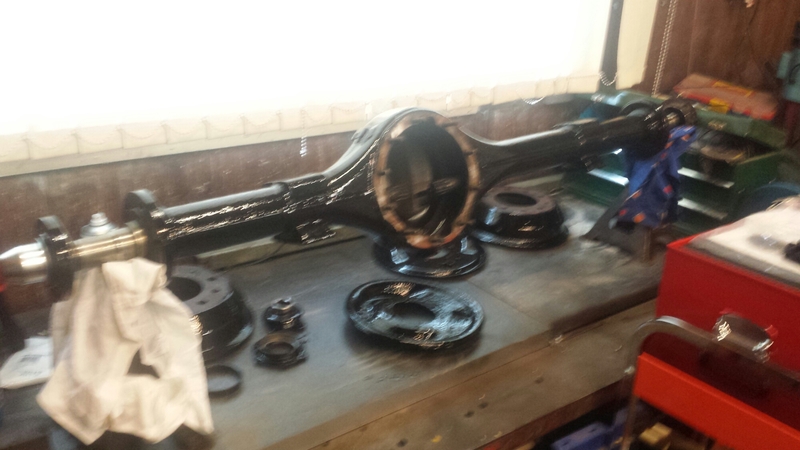 The mantra as stated by the owner was, if mud4fun didn’t replace it i’m not replacing it. 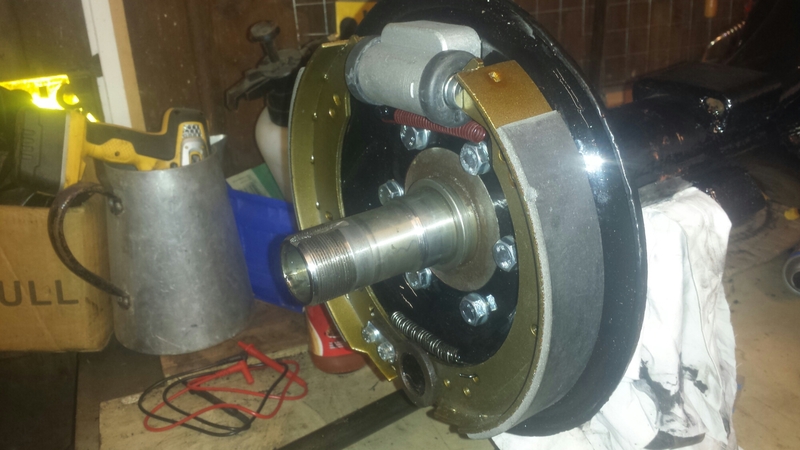 He is the new bible.